If your child is dissatisfied with her youth sports experience—or you are!—it's important to talk to her coach. Rather than seeing him as the cause of your problems, look at him as an ally who can help improve your child's sports experience. Most of the time, coaches really want to help their players succeed in the sport, and enjoy it too. So discuss problems honestly, and be sure to bring an open mind to the table. Have some potential solutions at the ready; don't go in with a vague expectation that the coach "fix things." But be willing to consider options you hadn't previously thought about, too. 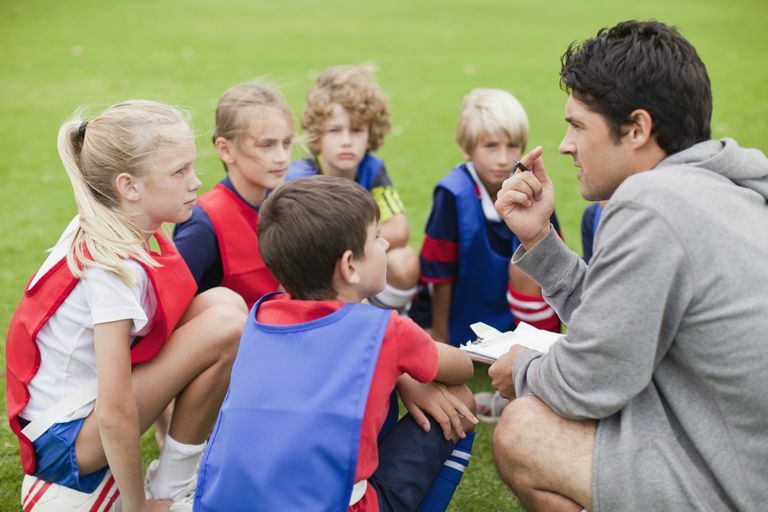 Problems that might merit talking to the coach include a lack of playing time (only if it doesn't line up with what you were led to believe prior to the season), favoritism, hazing or bullying among players, safety issues, a feeling that your child isn't learning the skills he needs, or a worry that your child is discouraged or anxious. Or, you might simply feel like you need a check-in with the coach, similar to a parent-teacher conference. You'll also want to talk with the coach before making a big commitment to a new team or league. Know expectations up front before you promise to devote a lot of time and money to a sport. Share the good stuff, too: Coaches are quite often volunteers, and underappreciated. So if you like what your child's coach is doing—how she motivates players or elegantly teaches new skills—be sure to pass that on. Especially if you are approaching the coach about a problem, be prepared and professional to boost the odds of a successful chat. Aim for a face-to-face meeting, if possible. Phone, text message, or email chats leave too much room for misunderstandings. Know your goal ahead of time, and have a plan. You might describe the problems as you see them (as neutrally as possible; come prepared with notes and examples), and mention how your child feels or is affected. Be ready to suggest a resolution, but also ask for the coach's perspective and feedback. He may have some additional information that you hadn't been aware of or considered. Schedule a time and place that's convenient for both of you, remembering to be respectful of the coach's other obligations. Don't buttonhole her after a game or practice, when she's busy and distracted. A neutral location is typically best, so no one feels at a disadvantage. Choose a place that's comfortable, like a friendly coffee shop. Should You Include Your Child? This really depends on your child. How old is she, and does she want to be involved? Some kids will feel uneasy about this, but it's important for them to advocate for themselves if they can. Regardless, this should be a private conversation, held out of earshot of other players and parents. There is less chance of the coach feeling cornered or criticized this way. The exception: A situation where other parents share your concerns. Then consider a team parent meeting instead, most likely without the kids present. In any scenario (team meeting, one-on-one, kids present or not), body language and tone of voice are important. Aim for calm, assertive, non-threatening, and respectful. Don't make problems worse by being angry or defensive. It helps to use "I" statements: "I would love to see my son get a chance to try some different playing positions" (vs. "You never let my kid play goalie"). Try "active listening," in which you reflect back what the coach is saying; that helps keep misunderstandings to a minimum. Try to leave the meeting with an agreement as to how the problem will be resolved. If the coach isn't at all receptive to your concerns, your next step would be to approach team leadership: the sports league board of directors, for example.